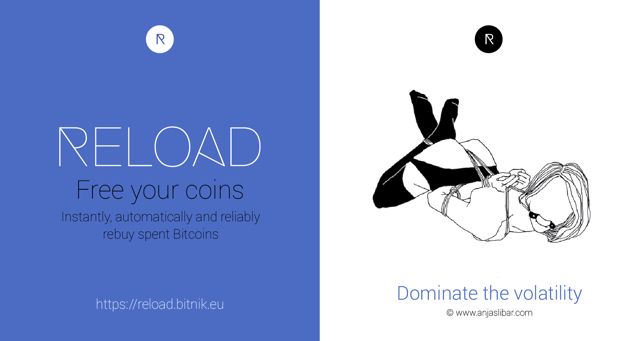 Bitnik d.o.o., a Slovenian based start-up, has launched Reload, an universal service that binds your Bitcoin wallet to your Bitcoin exchange account: whenever you spend bitcoins from your wallet, Reload will use your exchange account to immediately repurchase the same amount of bitcoins. Now you can relax and spend your precious coins on goods and services and be sure that your bitcoin supply doesn’t get smaller. BTM operators can also take advantage of Reload and replenish their supplies from a number of different exchanges. Reload is completely anonymous and does not hold user’s bitcoins. 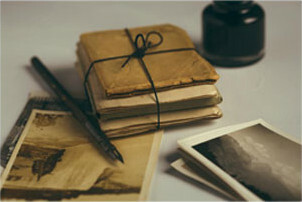 All that is required is an email address, single wallet address and exchange API credentials. Currently Reload supports over 20 exchanges (Coinbase (brokerage), Bitstamp, Kraken. BTC-e, Bitfinex, to name just a few and we are adding new supported exchanges according to popular demand. In general, Reload currently supports any wallet that uses a single address. Independence: Reload supports several wallets and many exchanges out of the box. If one exchange happens to be down, you can switch to another with a few clicks. Ease of integration: All necessary configuration is done in Reload, except for one-time creation of the exchange API keys that is done on the exchange. No configuration of the wallet is necessary. Safety: We never can, or want to, have direct access to your funds. Your private data (Bitcoin addresses and exchange username) are always transferred in encrypted form, and the most sensitive data (API secrets) are stored encrypted. Privacy: Since we never manage your funds, we don’t require you to provide any personal data; an e-mail address so we can reach you is enough. You can also deny Reload access to data from your exchange account (past trades, balance etc.) on exchanges that support this. Speed: Under normal circumstances, Reload will repurchase the bitcoins you spend in seconds. Reliability: If an exchange is down temporarily, Reload will repurchase your bitcoins when the exchange becomes available again. The same goes for cases where your account lacks funds, or your API keys lack permission etc. : Reload will do its job later when it can. Reload will also take care of each exchange’s quirks (like minimum order amounts), market volatility (retrying if orders don’t get executed immediately), and other uncertainties of the Bitcoin exchange world. Availability: Our software runs on Google’s servers, providing extremely high availability. Our own Lamassu BTM has been using Reload for repurchasing sold bitcoins for months. Transparency and reporting: If you’ve ever done manual repurchases of your spent bitcoins, you know exact accounting can become complicated since payments and exchange trades often don’t match one-to-one. Reload takes care of this for you and calculates the exact price of repurchase for each payment even in the complicated cases. Bitnik is pioneering innovative startup of Bitcoin enthusiasts aiming to support Bitcoin adoption, operating Lamassu BTM in Slovenia since a year, offering service and support to merchandisers accepting Bitcoin for merchandise. Bitnik has created the highly acclaimed video “Bitnik in Ljubljana” – https://vimeo.com/114190446, and operates the Reload service.